Oregon's public union leaders say the decision won't stop a union 'renaissance' in the state and country. Oregon public union leaders decried a ruling Wednesday by the U.S. Supreme Court ending mandatory union fees that support collective bargaining. The court ruled 5-to-4 in Janus v. AFSCME Council 31 that mandatory union fees violate free speech rights of workers who object to union positions. "We conclude that this arrangement violates the free speech rights of nonmembers by compelling them to subsidize private speech on matters of substantial public concern," Justice Samuel Alito wrote in the majority opinion. In a scathing dissent, Justice Elena Kagan accused the conservative justices in the majority opinion of overturning decades of precedent set in Abood v. Detroit Board of Education and "weaponizing" the First Amendment. and in the future, to intervene in economic and regulatory policy." Gov. Kate Brown made a show of unity with unions by issuing a joint statement with several union leaders to condemn the decision. "The Supreme Court's disappointing ruling in the Janus case tips the scale yet again in favor of wealthy special interests, making it even harder for working families to get ahead. Despite that decision, however, Oregon's unions will remain strong as long as union members stick together and continue acting collectively for the common good of all workers." The opinion was a victory for several public sector workers who challenged the mandatory dues in court. Aaron Withe, Oregon director of the Freedom Foundation — a nonprofit conservative think tank that represents seven Oregon public employees in a legal challenge of non-member dues, said the opinion will allow members to have more influence over union activities. Unions "will have to provide services that make members want to pay these union dues," Withe said. "No longer will people with disagreements with what they are doing have to pay the union dues. It is just like any other private entity now. You could compare it to a gym membership. If you feel you are getting what you are paying for, you continue to pay the gym fees; if you don't, then you don't." The Freedom Foundation case against the Oregon American Federation of State, County and Municipal Employees Council 75 is still moving forward regardless of the ruling, and plaintiffs now have a better chance of obtaining damages, Withe said. The Supreme Court opinion came in response to a challenge by Mark Janus, an Illinois child support specialist, who claimed that the mandatory fees violate his First Amendment right to free speech. In another Oregon case, Debora Nearman, wife of Rep. Mike Nearman, R-Polk County, sued Service Employees International Union Local 503 in April for forcing her to pay annual non-member dues of more than $1,200 in 2016, while the union spent $53,260 to try to defeat her husband is his bid for election to the state Legislature. Out of the $1,200 in dues, Debora Nearman, who works as a systems analyst at the Oregon Department of Fish and Wildlife, received a $274 refund for "nonchargeable" expenses — those spent on purposes other than basic operations and collective bargaining, according to her amicus brief in support of the Janus case. She "objects to being required to financially support and associate with an organization that opposes her husband's candidacy, opposes her political views, and opposes her religious views," the brief stated. Despite a barrage of legal challenges against unions, the labor movement is having a "renaissance," said Tom Chamberlain, president of Oregon AFL-CIO. Union membership grew by 260,000 nationally last year, according to federal statistics. Meanwhile, unions' approval rating rose to 61 percent — the highest in a decade, according to a Gallup poll released last fall. Melissa Unger, executive director of Service Employees International Union Local 503, noted that another recent ruling about mandatory dues for home-care workers shows that such rulings do take an initial toll on union membership but that numbers may rebound after workers realize that unions help improve working conditions. 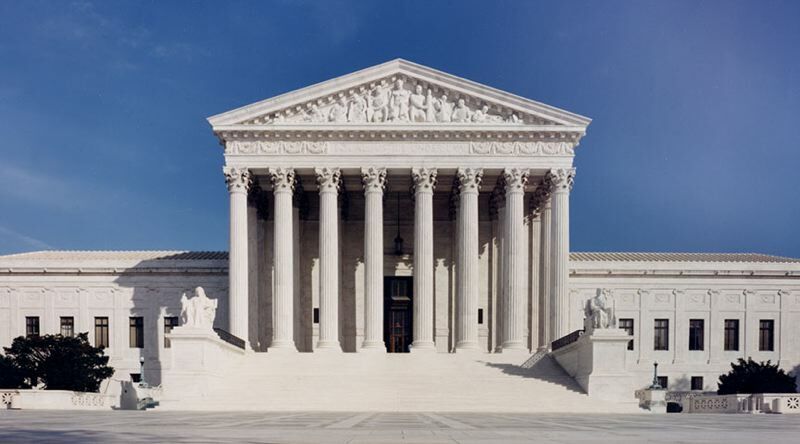 In June 2014, the U.S. Supreme Court ruled in Harris v. Quinn that home care workers who receive public funds as contractors are exempt from the mandatory union fees public sector employees must pay. With home care workers making up roughly half of its members, SEIU Local 503 saw its dues-paying memberships drop by 5,000 the year of the ruling, from more than 57,000 to more than 52,000, said union spokeswoman Jill Bakken. By 2015, however, the numbers had rebounded, and by 2017, membership exceeded 58,000, she said.